Use this coupon code to save 10% off when you enroll with edx online. Act now and save 20% off select courses from edx.org. 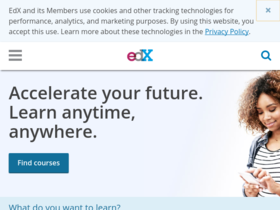 Enjoy over 1500 free online courses from edx.org. Check out edx online for their latest special offers.